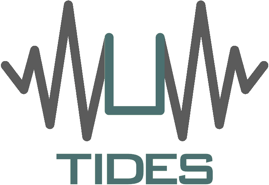 STSMs are an instrument to support individual mobility from one to another COST country, to strengthen existing networks or promote new collaborations within the scientific objectives of TIDES ES1401 COST Action. The applicant can be a PhD student, a PostDoc or a staff member from an institution located in a Participating COST Full Member / COST Cooperating Member, or in an Approved Near-Neighbour Country (NNC). The host institution has to be sited in another Participating COST Full Member / COST Cooperating Member or in a Near-Neighbour Country (NNC). The up-to-date list of TIDES participating countries and NNCs can be found here . Please consult full eligibility rules on the Vademecum document (pages 35-36). The STSM has to be completed by 30 March 2018. There is a minimum duration of 5 working days and a maximum of 2 months for the current proposed STSM. 1) Follow this link to apply on-line for a Short-Term Scientific Mission: apply on-line or log in e-COST and click on “STSM Application” on the menu available on the left. In the case of PhD students applicants, a support letter for the proposed visit from their advisor. The grantee is required to submit a short scientific report (main text of 3-5 pages with any attachments if necessary) to the STSM coordinator for approval by the STSM Committee and subsequently by the Managment Committee within 30 days after the end date of the STSM keeping the STSM host institution in copy. Failure to submit the scientific report within 30 days after the end of the STSM will effectively cancel the grant. For a detailed and complete description of the eligibility rules and financial support according to COST, please consult the VADEMECUM document (pages 35-36). Also look at the additional notes from the Grant Holder, providing additional clarification on applicable fiscal issues .